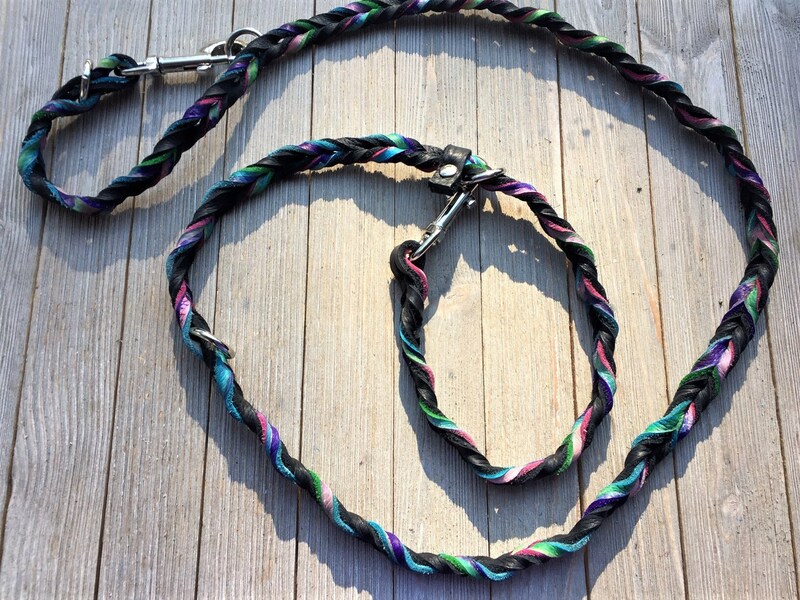 This multifunction leash is 6' long, has a snap at each end, an o-ring at 14" to form a handle. It has another o-ring at 48" and a moving o-ring in between with a stopper. 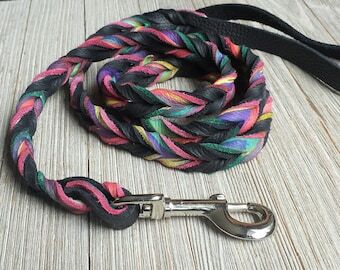 This listing is for a fully braided leash in the color black and tie dye with a nickle snap and a 5/8" width.